Health Selfies Are Linked To THESE Personality Disorders! of us have one or two friends we’ve seriously considered holding a selfie intervention for. And thanks to some new information, we’ve now got a few genuine reasons to be concerned. You see, psychologists have linked compulsive selfie-taking to a number of mental health and personality issues. ‘Oh, but surely that only applies to people who take an insane amount of selfies,’ you might be thinking. Actually, no. According to the American Psychiatric Association, even just three selfies daily is cause for concern. Let’s take a look at a few of the issues experts say are at play in compulsive selfie taking. Research has shown that individuals with higher narcissistic personality traits tend to post more selfies on social media. Editing a selfie before posting it is a sign of even greater narcissism. Narcissistic individuals need admiration to function. Posting a selfie allows them to get this admiration by way of likes and comments. This sort of admiration is incredibly misleading due to the disingenuous nature of social media. That doesn’t stop it from going to a narcissist’s head, of course. 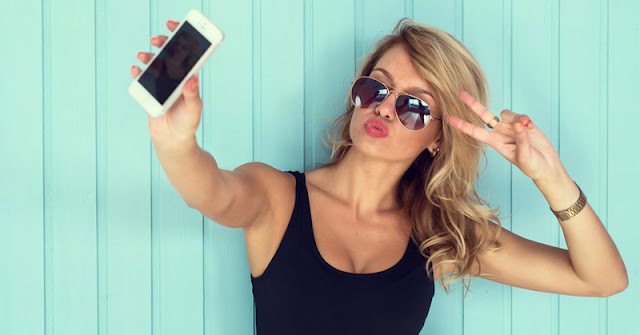 “Two out of three of all the patients who come to see me with body dysmorphic disorder since the rise of camera phones have a compulsion to repeatedly take and post selfies on social media sites,” says psychiatrist Dr. David Veale. One British teenager with the disorder actually tried to kill himself when he couldn’t get a perfect selfie. 19-year-old Danny Bowman spent 10 hours taking up to 200 selfies every single day. He didn’t leave his house for six straight months. In body dysmorphic disorder patients, compulsive selfie-taking often accompanies an eating disorder. While selfies may seem to boost one’s self-esteem, they actually do so in a negative way. Want to learn more about the mental health implications of selfies? Have a look at this video.